BlueVillas welcomes the Traveller Made partners to the edge of glory. 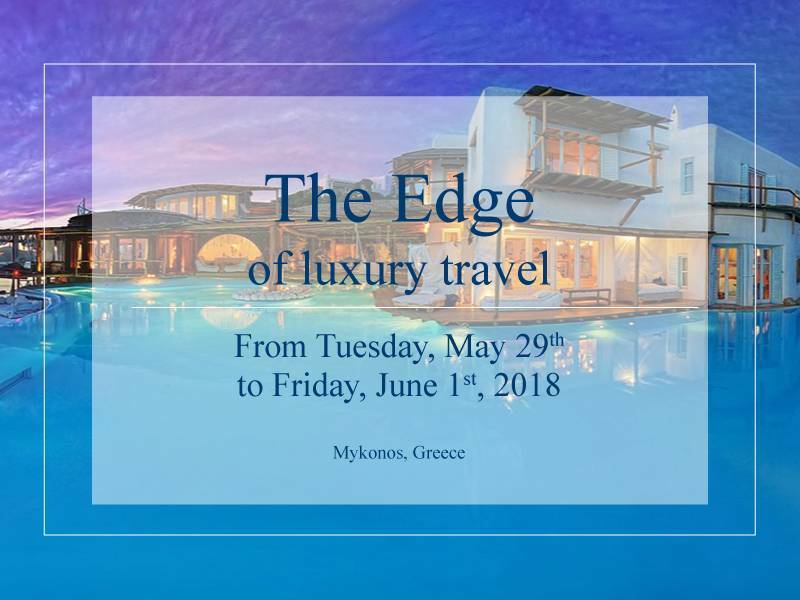 The travel designers decided to taste the sweet flavor of Mykonos lifestyle in a 4-day event full of posh and fun, “The Edge of Luxury Travel”. The extravagant event will start on Tuesday 29th of May and will end on Friday 1st of June. BlueVillas is one of the sponsors of the event. The event will bring together 25 of the best Traveller Made agents and 25 partners/ providers from the villa, hotel, cruise industries in order to discuss about their collaboration and showcase their best service as well. The agents will experience the best service the providers can offer to their guests, that its weekly rate costs more than 100.000 Euros. BlueVillas will let them explore the beauty and luxury of one of the best Mykonos villas of the portfolio, Opulence. This fantastic playhouse belongs to our extravagant properties collection and offers the biggest pool on the island (500 sqm. ), underwater bar, boats filled with champagne, state-of-the-art gym, private club, 8 bars, a view to die for and many more facilities. Guests who stay in Opulence enjoy the luxury lifestyle, but also 24/7 service by concierge and butler, luxury van with driver and chef team. Also, the whole group will have the chance to visit another Mykonos villa, Aegean Treasure, where they will experience the BlueVillas gastronomy concept designed and created by our chef and enjoy cocktails by the pool. BlueVillas team is happy to sponsor the event and can’t wait to show one more time what exclusive bespoke service means.